Los Angeles, 23rd September, 2018: Abu Dhabi King of Mats® second edition was held at the Los Angeles Convention Center with some tactical and action packed matches among ten of the best heavyweights in the black belt division, who competed for a combined total cash prize of $42,000. 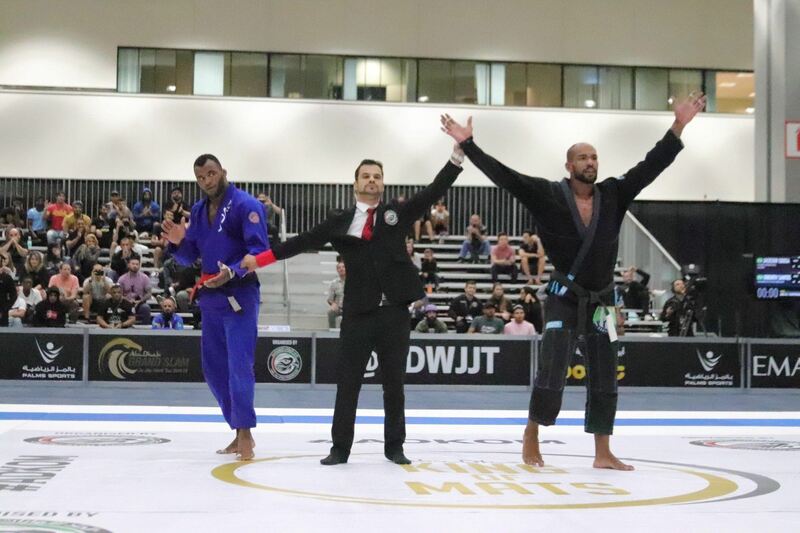 Erberth Santos won the title of the Abu Dhabi King of Mats®, after he defeated Jackson Sousa in a very defensive and strategic fight. The match ended 0-0 in score but the decision was awarded to Erberth Santos, who was deemed the worthy winner by the referee. Erberth Santos will now face the reigning Abu Dhabi King of Mats® champion – Alexander Trans in a super match. If you missed the event, it will be broadcasted on delayed on the following netwroks: FloGrappling worldwide stream, Combate in Brazil and Airtel TV, Idea Movies & TV, Jio TV and Triple Play IPTV in India, FOX Sports in Asia, Fight Sports in North America, Caribbean, Europe, Japan, Fight Network in Canada, Europe and MENA, Astro in Malaysia, Starhub in Singapore, ABS-CBN Sports in Philippines, Orange TV, IndiHome and MyRepublik in Indonesia, Singtel in Singapore and Australia, Azam Sports in Africa, EB-TV in Asia, J Sports and TV Asahi in Japan, SFR Sports in Europe, Dubai Sports and Sharjah Sports in MENA.